A cool Green Cartoon Lil Xan Hoodie. Lil Xan otherwise known as Diego is an American Hip Hop Artist best known for his record hit ‘Betrayal’. 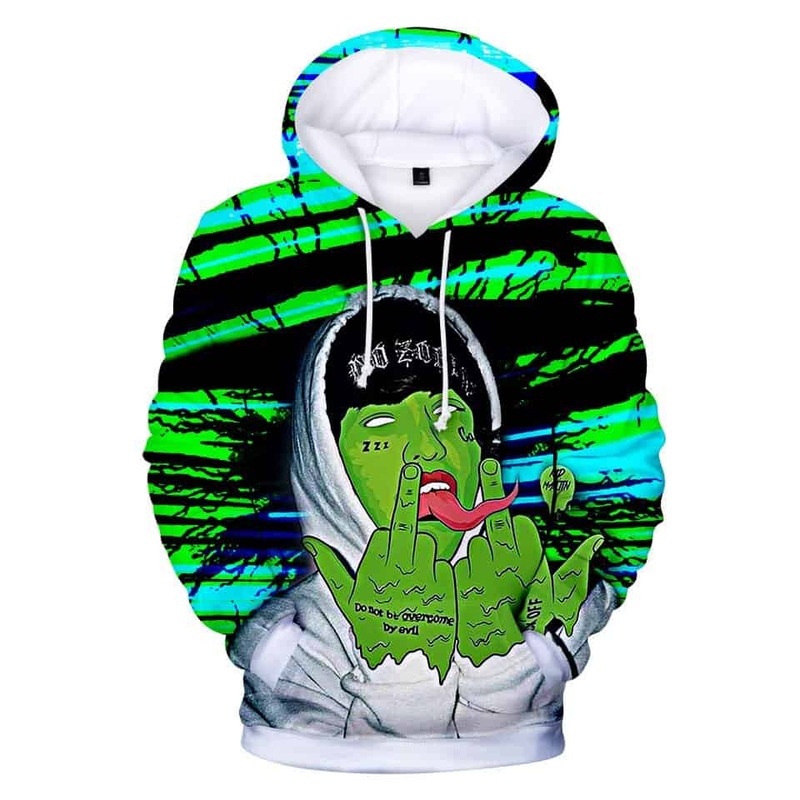 This Green Cartoon Lil Xan Hoodie is a cartoon character of Diego who has been transformed into a lizard with ‘Do not be overcome by evil’ on his hand. If you are a fan of Lil Xan, then you will love this Hoodie.